The face is the first thing we focus on when meeting any new person�we automatically assess a person�s mood, feelings, and intentions by what we �read� on that person�s face. We consider some people to have �kind� eyes or a grumpy look. 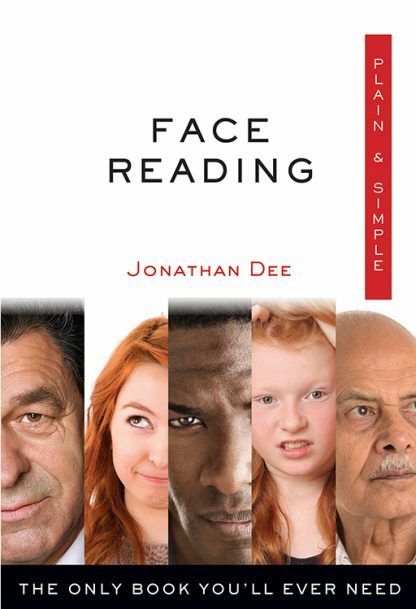 This book will introduce you to the ancient Chinese art of face reading so that you can gain insight into the personalities of your loved ones and those you meet. Discover aspects of personality you never knew existed! Chinese face reading demonstrates that faces are open books, and their individual features provide the keys to interpreting their message. Along the way the author discusses the subtle distinctions within the cheekbones, the lips, the forehead, and facial creases. Jonathan Dee (deceased 2010) was born in Wales and discovered his psychic abilities at an early age. He was a highly regarded professional astrologer, tarot card reader, and clairvoyant who worked throughout the UK and the US. Jonathan wrote a vast number of books covering Egyptology, mythology, astrology, tarot, and history, including Face Reading Plain & Simple, Tarot Mysteries, and Chinese Astrology Plain & Simple. Published internationally, his books have sold over 5 million copies to date.